Calling all fans of Bak Kut Teh!! 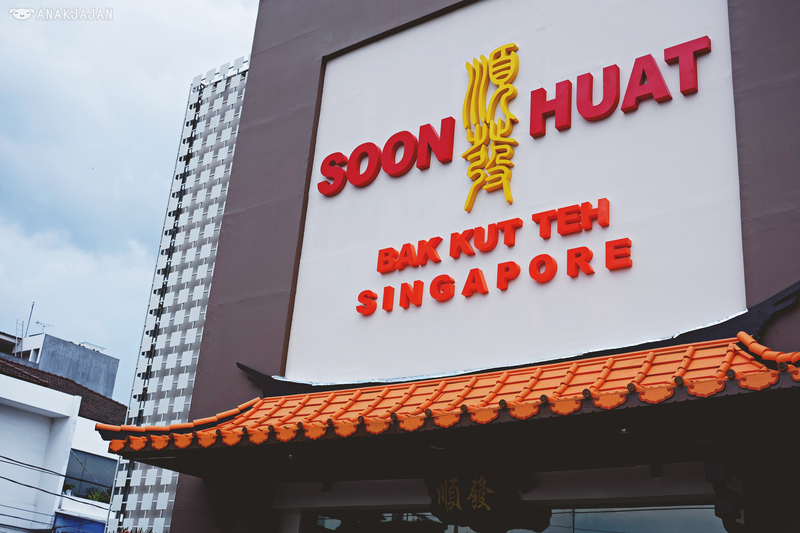 Because Soon Huat Bak Kut Teh from Singapore is opening its first outlet in Jakarta. 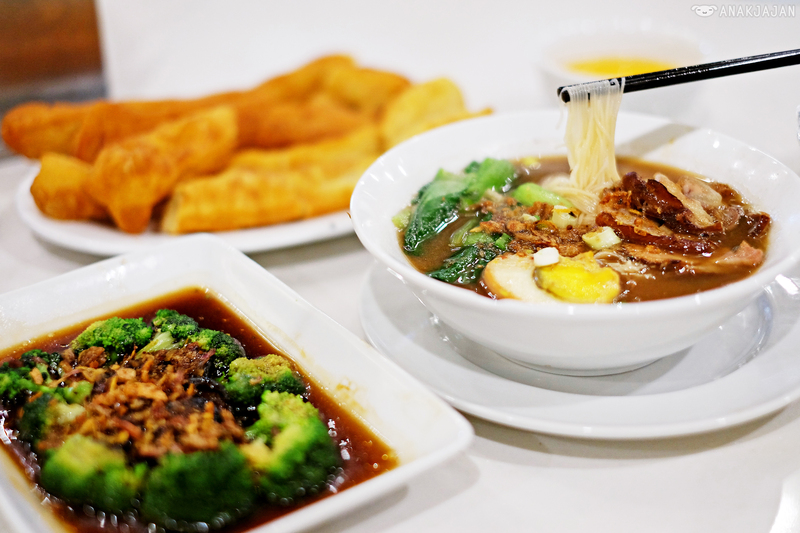 Soon Huat Bak Kut Teh opened its outlet in North Jakarta since last week. 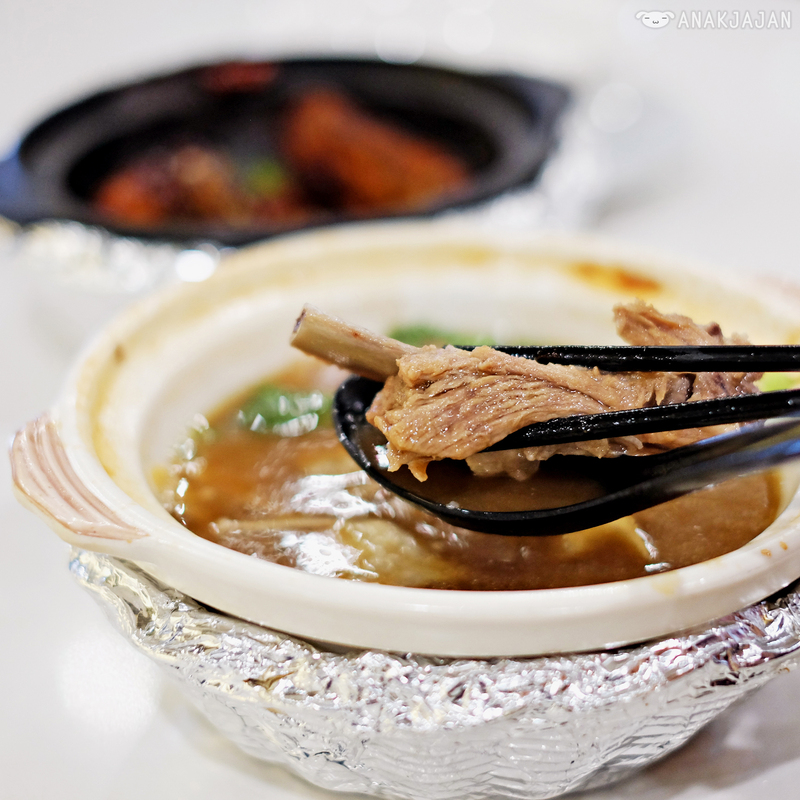 AnakJajan are very happy having another tasty Bak Kut Teh restaurant from Singapore opening near our home. 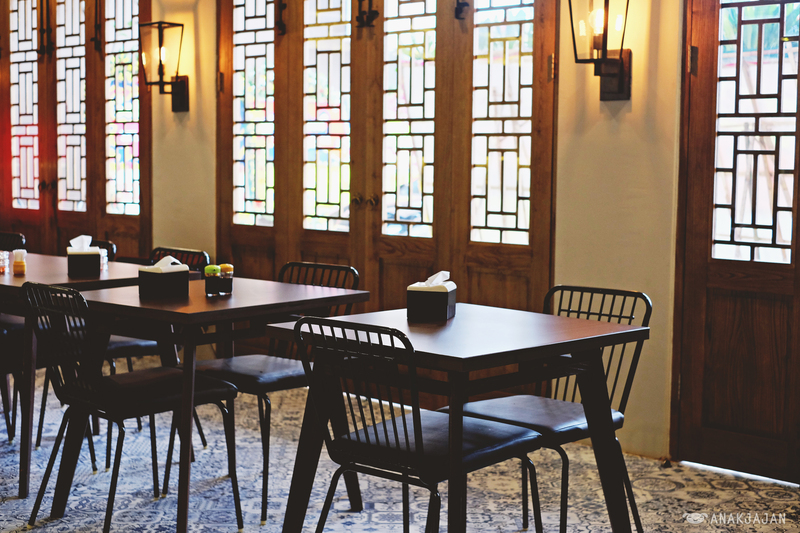 It’s located at Pluit Putra Raya near Garuda Padang restaurant (ex Cosi building) with a huge signage that you can easily spot from distance. 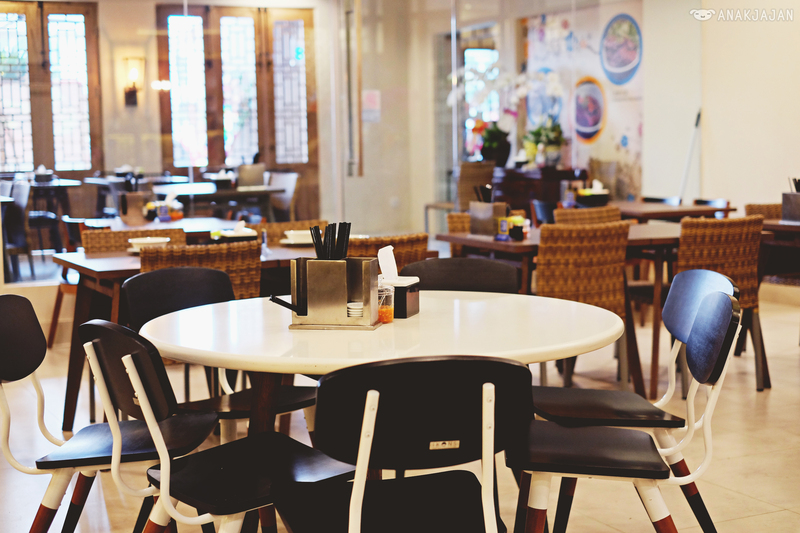 Soon Huat Bak Kut Teh has an inspiring story, the founder Jabez is actually an ex-offender with 13 years of imprisonment. 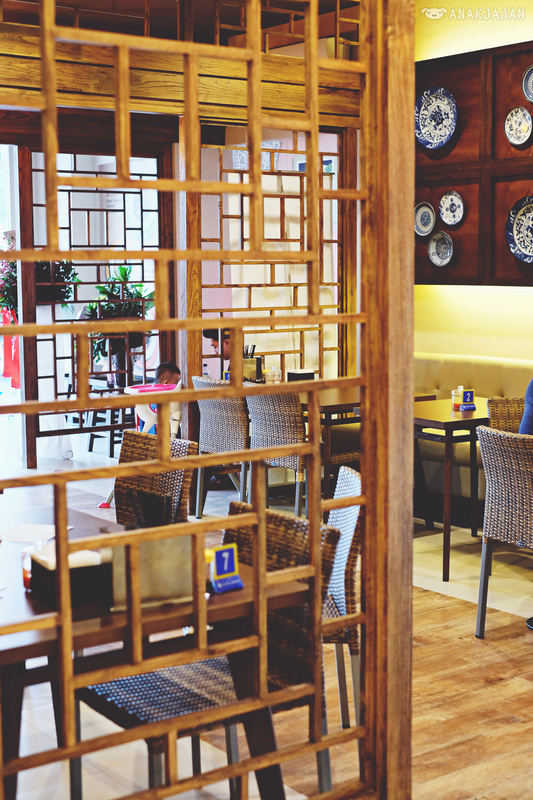 During his time in prison, he slowly learn his cooking skill starting from dishwasher till became a main chef and later on he came up with a recipe of Bak Kuh teh and manage to achieve success with his own restaurants. 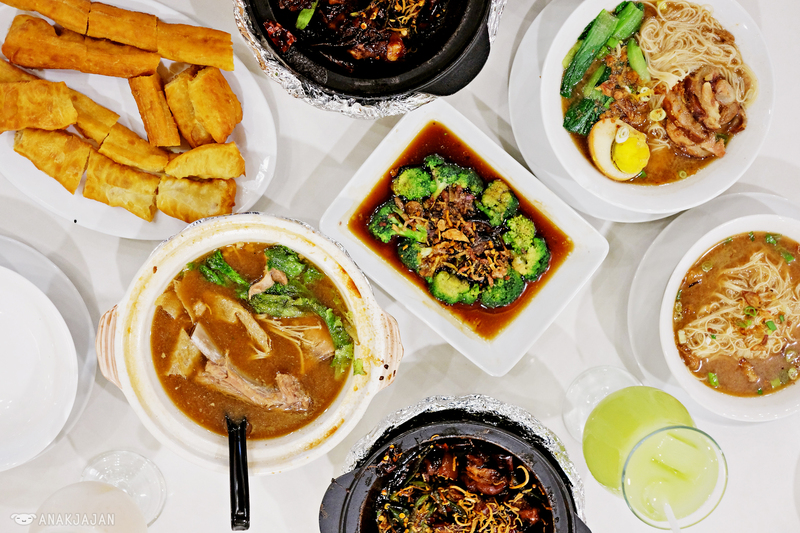 Talking about the food, the signature menu here certainly is Bak Kut Teh or pork ribs dish, the interesting part here is they have two types of Bak Kut Teh, soup version and dried version. 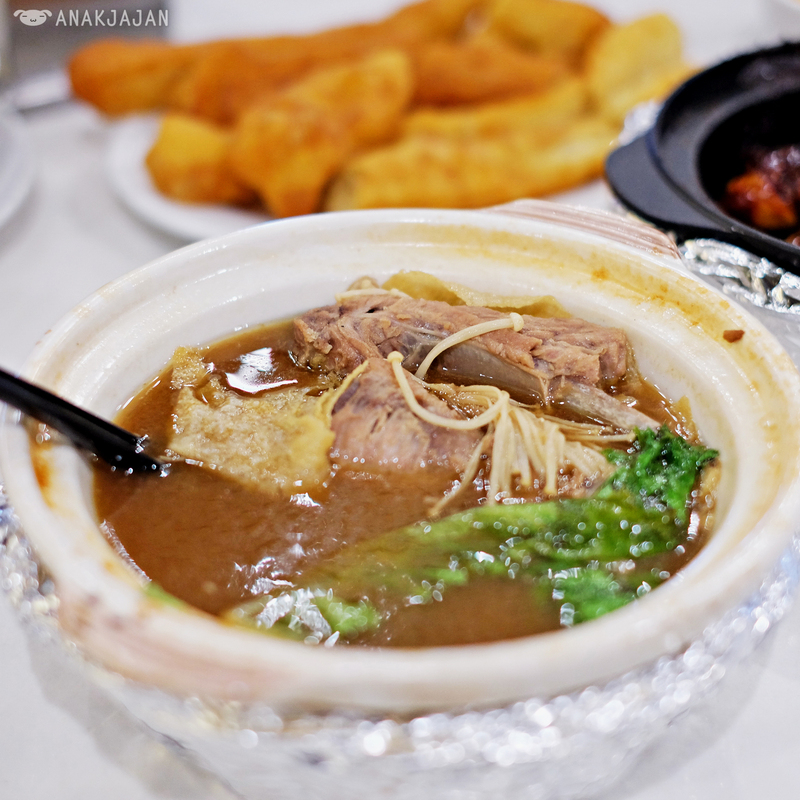 Unlike the teochew style of bak kuh teh with garlicky peppery soup, bak kut teh soup at Soon Huat is rather diferent. 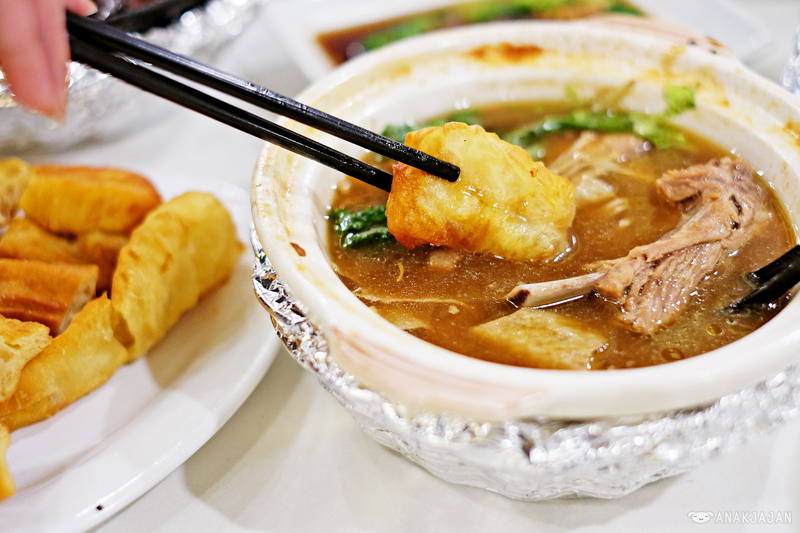 If you notice the picture below, you can see that the soup color has brownish color, it has a nice savory flavor with subtle aroma of spices. 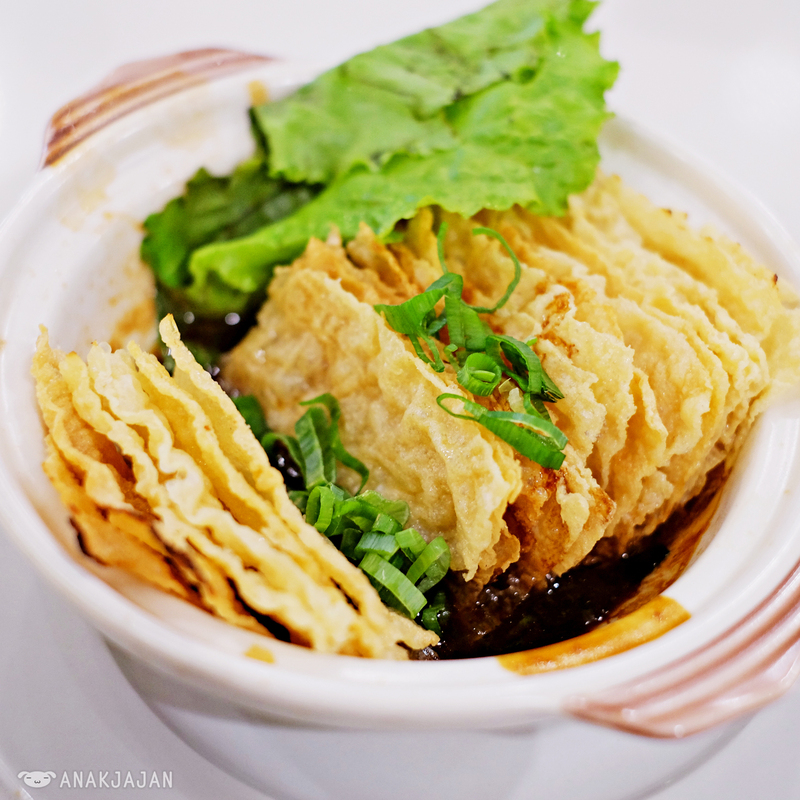 AnakJajan personally love this version of bak kut teh, the soup is absolutely comforting, warming and making me unable to stop from sipping it especially during raining season. 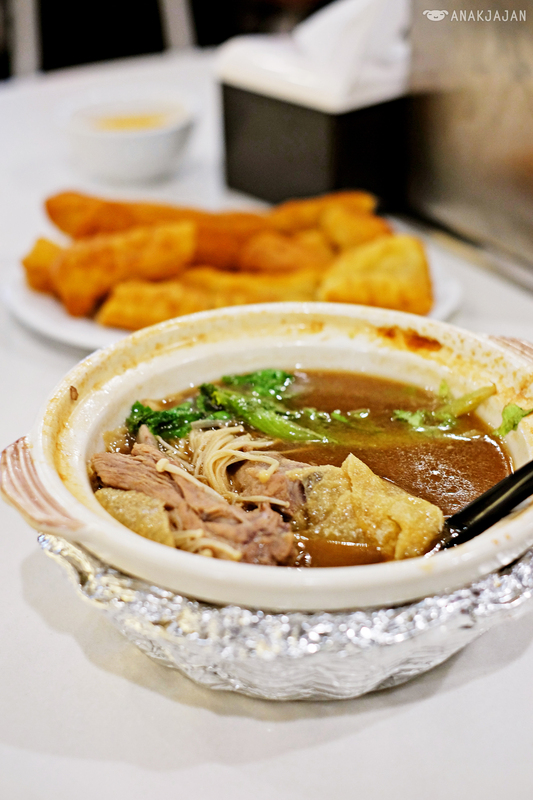 Inside the broth you will find enoki mushroom, tofu skin and of course the pork ribs. 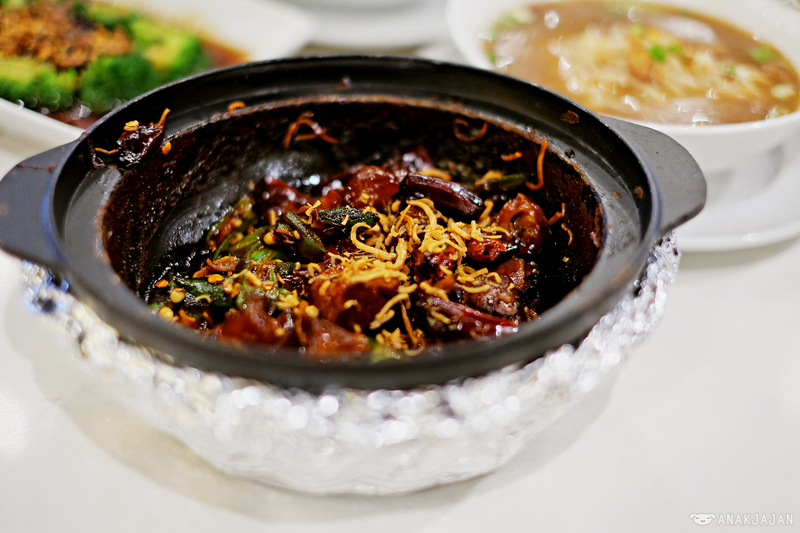 The pork ribs were very tender and easily fall of the bone. Fascinating version of bak kuh teh because unlike the soup one, it’s kinda hard to find many places in Jakarta that serves it. 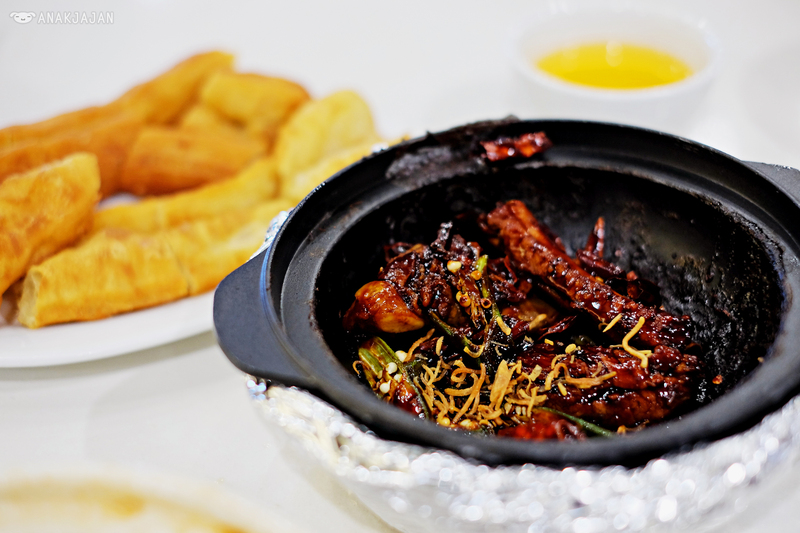 The pork ribs are cooked again with special sauce and dried chili. 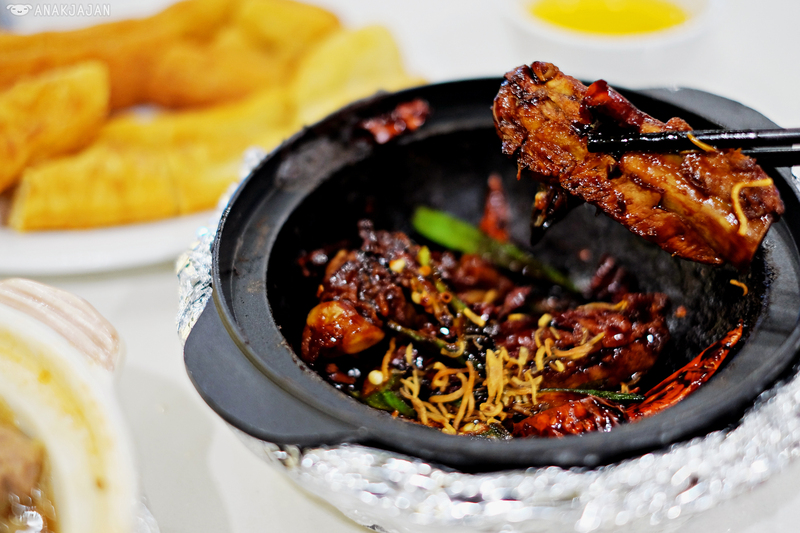 That golden color toppings is actually a fried cuttlefish (‘juhi’), it gives a special kick of aroma to this dish. 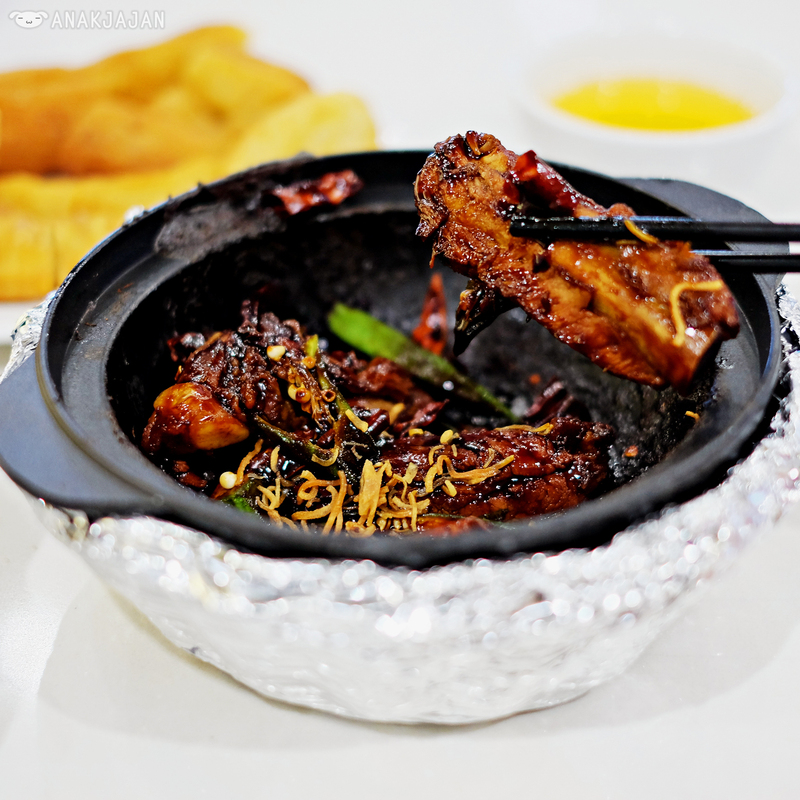 Pork ribs were similar with the soup one, very tender and easily fall of the bone and AnakJajan love the a nice caramelized sweet yet savory seasoning in it. 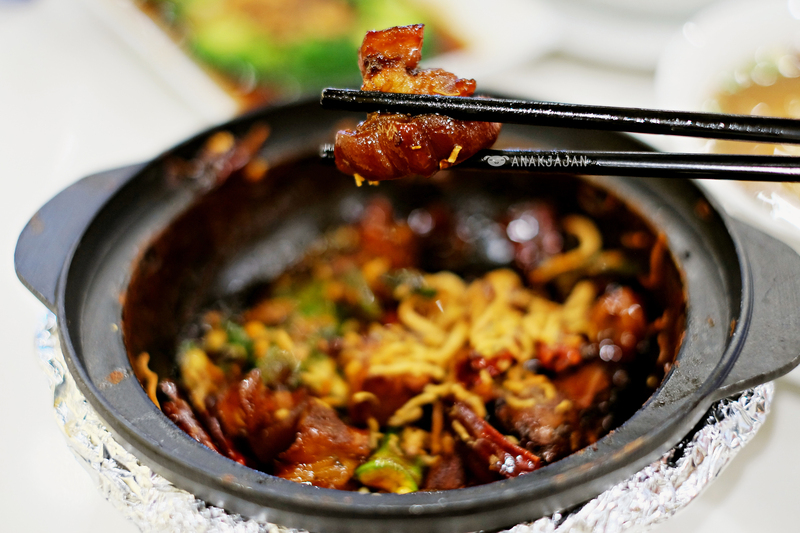 Besides the regular braised version, you can have the dried version of trotter that will be cooked until dried and caramelized. 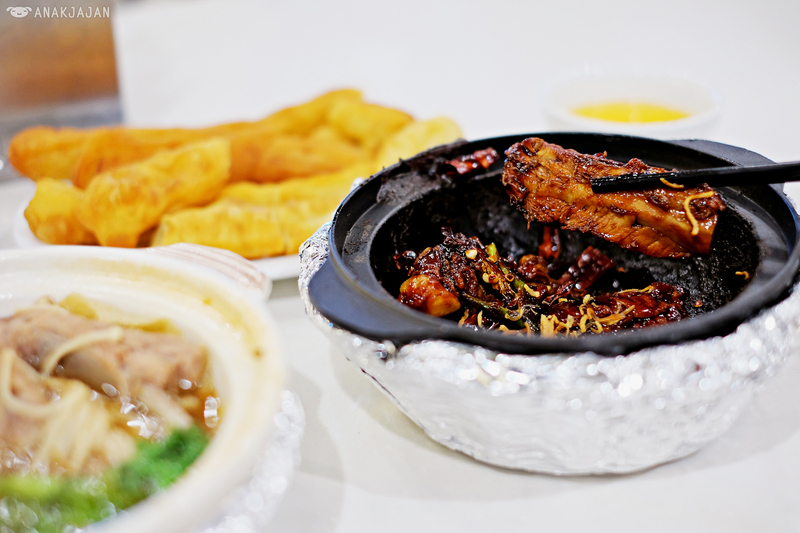 It is a very nice trotter dish, with tender and well absorbed seasoning. 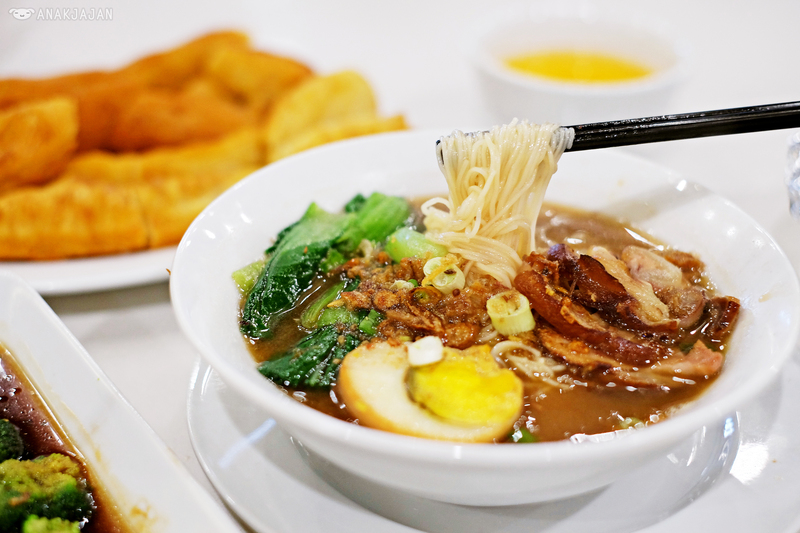 As a companion to the bak kuh teh, besides rice you can also have mee sua, thin Chinese noodle made from wheat flour. 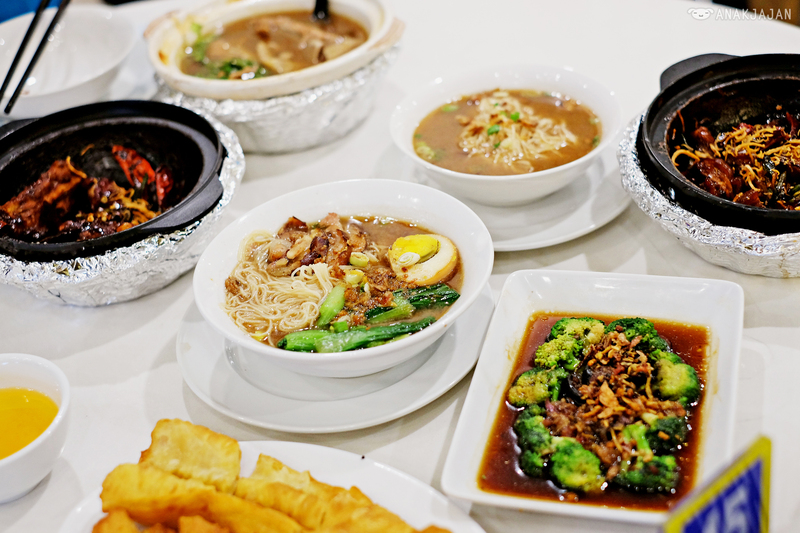 Plentiful of side dishes are also available such as Fried Dough (Cakwe) IDR 12k, Broccoli with Mushroom IDR 28k, Braised Tow Ki IDR 38k, etc. The unique presentation of this side dish instantly caught my eyes. 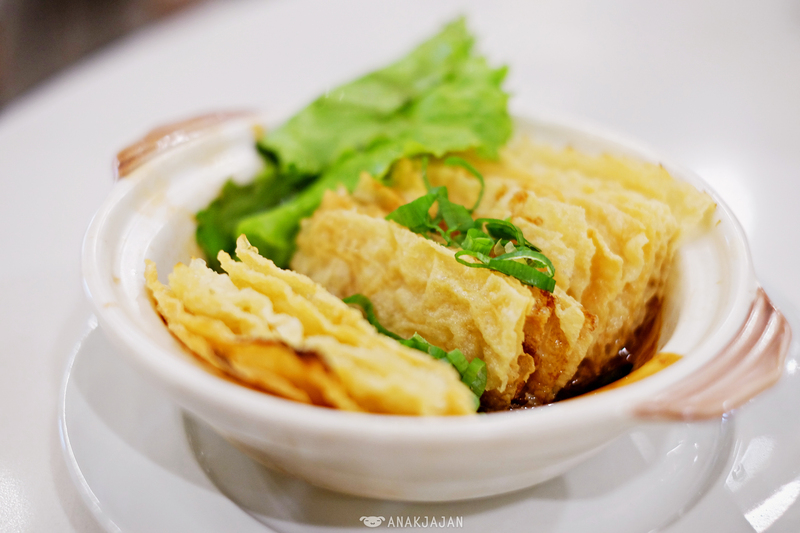 It’s made of dried tofu skin with a nice thin layers seasoned with braised sauce. 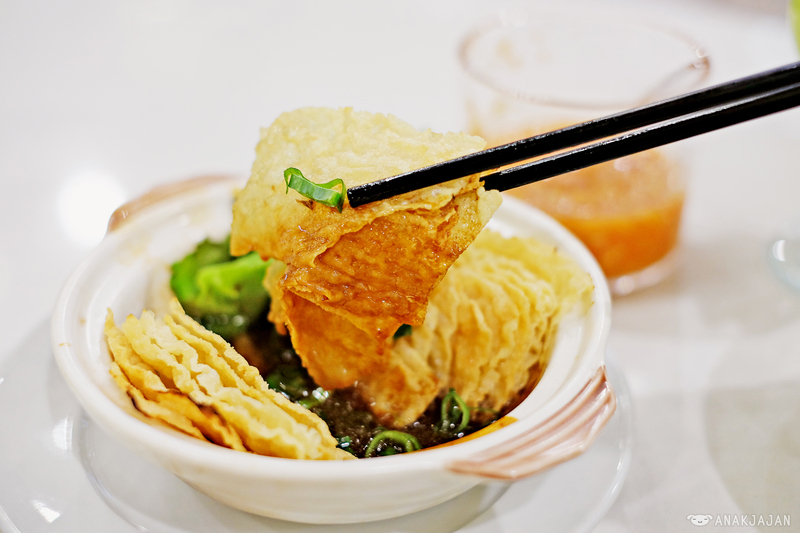 The crunch texture is unique and quite different with the usual tofu skin we usually find in Jakarta, must try. 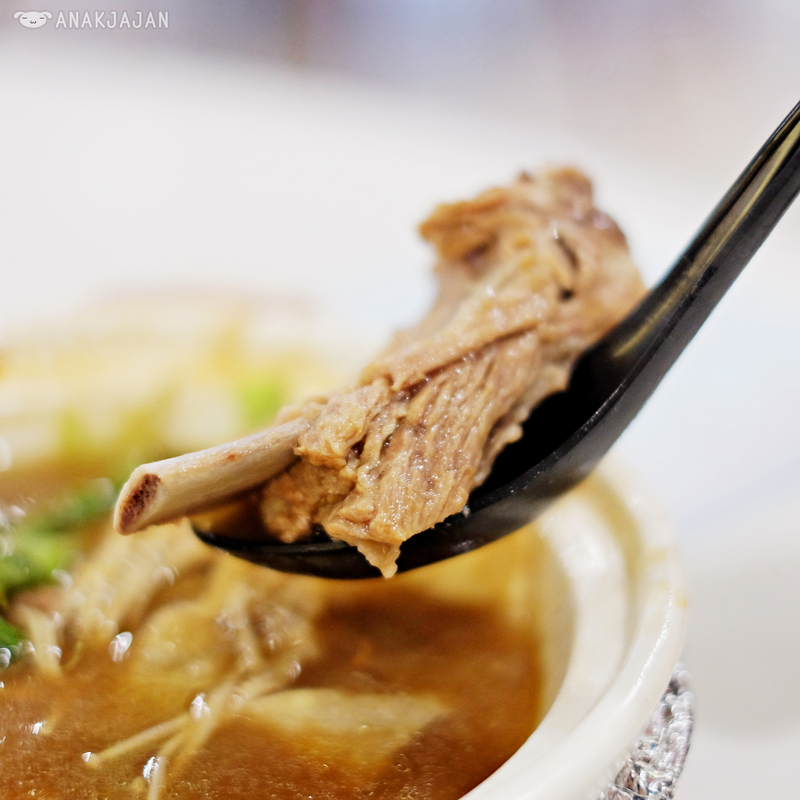 Overall, Soon Huat Bak Kut Teh offers an interesting and comforting flavor of bak kuh teh dish, AnakJajan can definitely see us coming back for more. 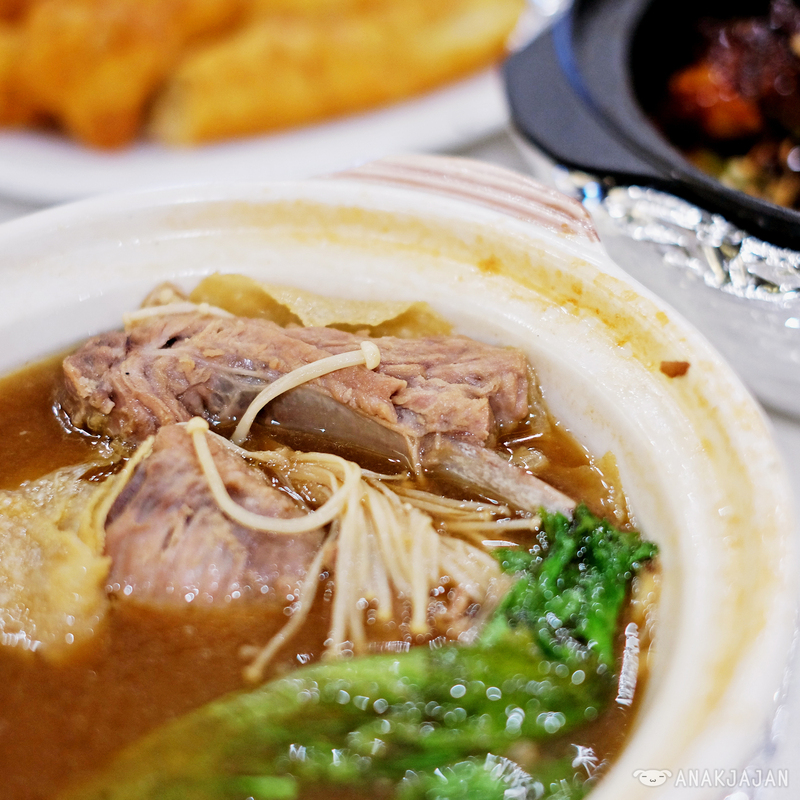 If you are a big fan of bak kuh teh, you should give it a try. Let’s Jajan!! Boy… they look super delish! 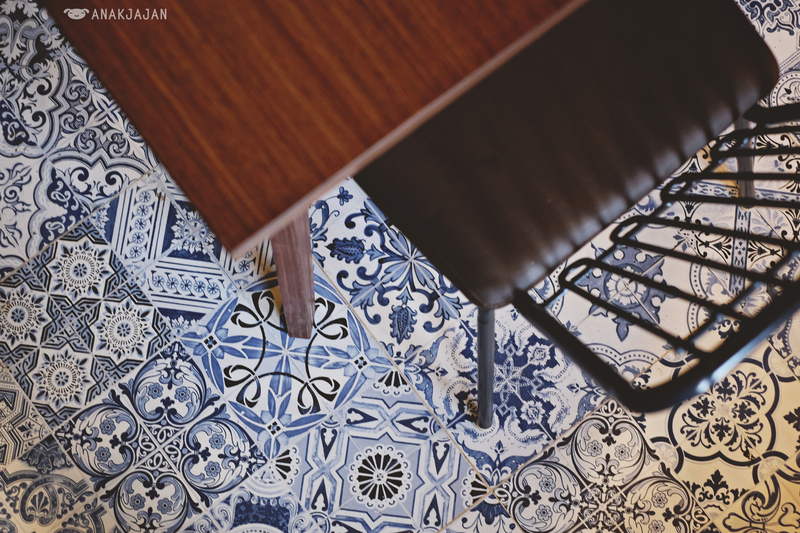 Since it’s winter time here, this post gives me plenty of ideas to concoct similar dishes. Thanks for sharing the tantalizing pictures.